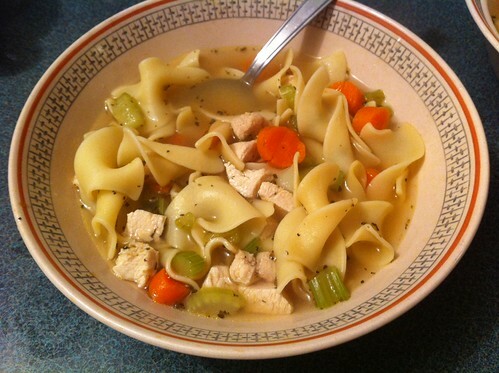 Meal 2: Chicken Noodle Soup. My dad told me once he cooked chicken in the oven and then just added it to chicken broth and thought that would make good soup. OH DAD! What a silly boy. I used this recipe (I always use this one!) – except the onions. I like to add a little more celery too and usually 64 oz of chicken broth. I found these egg noodles at the farmers market, I think they were $1 or $2 a bag, I forget, but they were a bargain. Man were they good too! This soup is easy and quick. 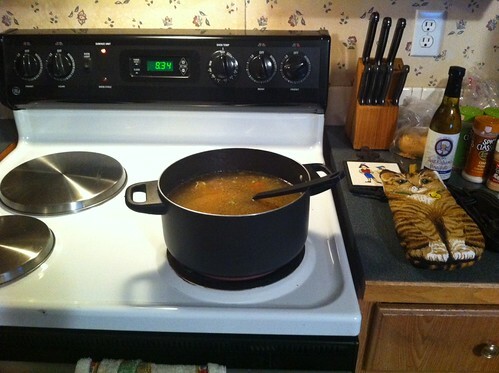 Once you bring to a boil, you only simmer for 20 minutes. 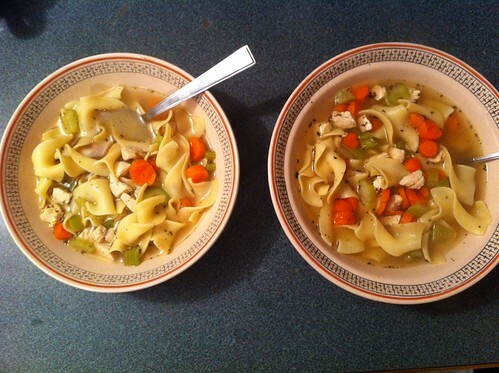 Chicken noodle soup for 2! 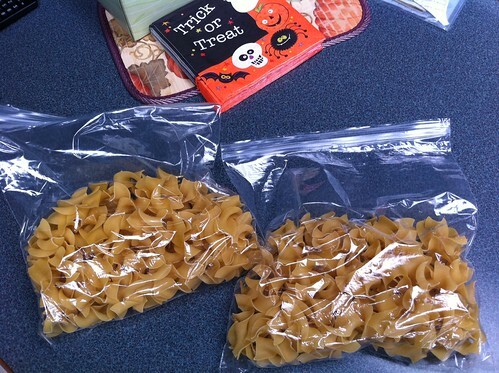 I even left him with some extra egg noodles so he can make his own now. PS. 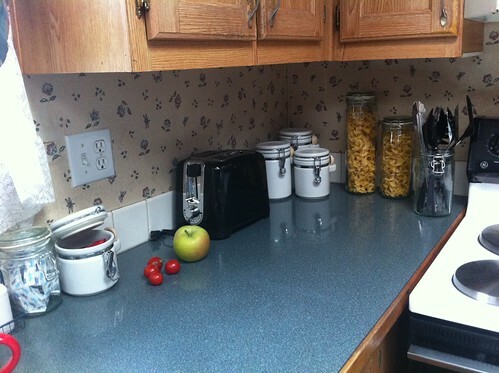 Very jealous of the space in his kitchen.